“Taking Education Forward” on Saturday, 22nd September, 12:30 – 4:30pm at Broadlands Primary School, Hereford. Herefordshire’s Big Education Conversation (BEC) is part of a national movement that is bringing people together to explore how we can build an education system fit for purpose in the 21st Century. Educators, business leaders and economists agree that the skills and qualities needed for people and society to flourish are changing rapidly, but the pace of change in the education sector is slow. How could we educate our young people for life in the 21st century? What can we do locally to improve the educational offer for young people? There will be the chance to actively engage with practitioners, academics and innovators who are already starting to do things differently. This will be an opportunity to collaborate with others, to learn and to share tools and resources; to help shape the future of education. 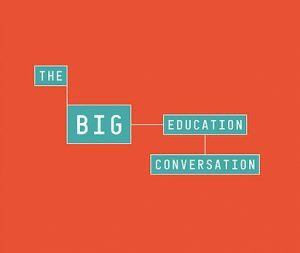 Please join us for the Big Education Conversation on 22nd September 2018. Tickets are £10. Doors will open at 12.30pm for a 1pm start. For more information click here.